I found this recipe from here. 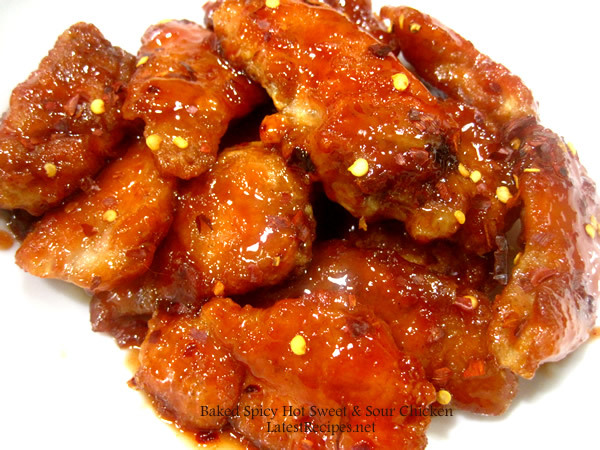 I got there looking for other recipe but ended up trying this delicious looking sweet and sour chicken. It’s a bit different from the way usual sweet and sour dishes are cooked, this one is pre-cooked by pan-frying then, baked. I followed the recipe exactly except I added a couple teaspoons of ground cayenne pepper to the sauce, as requested by my husband who is not a big fan of sweet and sour anything but since I like it, he’s okay with it, as long as there’s some heat he’s more than willing to eat it. Heat the oil in a large skillet over medium heat. While the oil is heating, cut the chicken breasts into 1-inch pieces. Season with salt and pepper. Place the cornstarch in a gallon-sized ziploc bag. 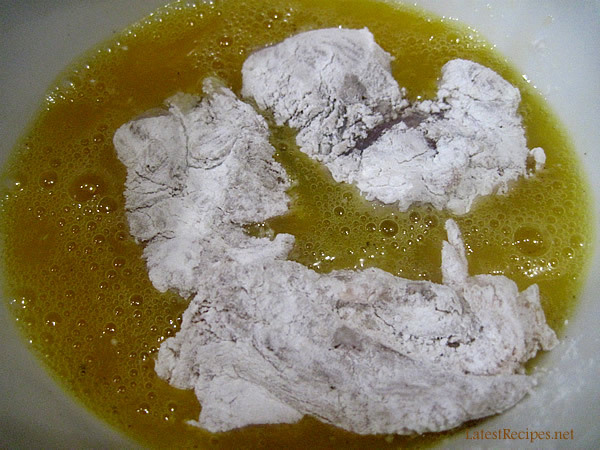 Put the chicken into the bag with the cornstarch and seal, tossing to coat the chicken. Whisk the eggs together in a shallow bowl, season lightly with salt and pepper. Dip the cornstarch-coated chicken pieces in the egg and place them carefully in a single layer in the hot skillet. Cook for 1-2 minutes and then flip each piece over to cook on the other side until nicely golden but not all the way cooked through. Mix the sauce ingredients together in a medium bowl and pour over the chicken in the baking dish. 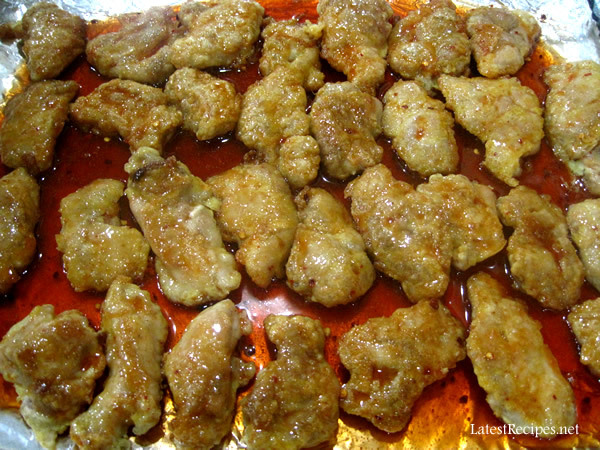 Bake for one hour, turning the chicken once or twice while cooking to coat evenly with sauce. One Response to "Baked Sweet and Sour Chicken"
Chicken thighs always a add a perfect juiciness!